We recommended you take this tour between the months of May and September and preferably in the morning between 9 and 1 PM as a private tour. Those taking this tour will have to pay entry tickets to Maras (6 soles), and Moray (5 soles). MARAS: The friendly town of Maras, situated 46 kilometers from the city of Cusco in the province of Urubamba, retains its colonial architecture and charm. You might glimpse beautiful doorways with colonial crests and chiseled low relief stonework. 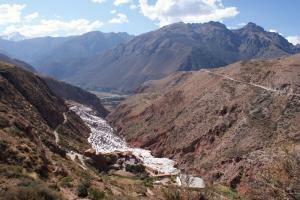 SALINERAS: The mines of Salineras are located close to Maras and have been continually operated since the times of the Incas and throughout the colonial period. These are the most important salt mines of the region. They consist of ponds where the salt is left to dry in the sun. 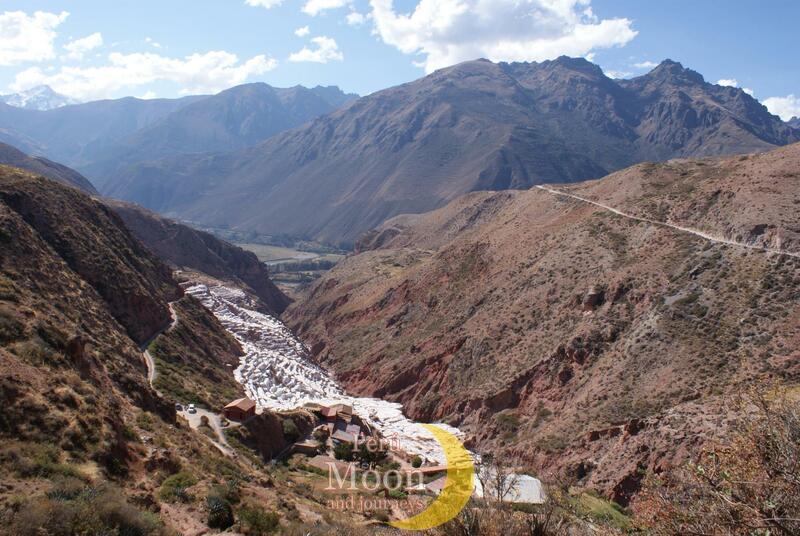 MORAY: The terraces of Moray seem to actually be a giant agricultural laboratory, in which the ancient Peruvians experimented with different crossbreeds of plants to create high altitude varieties. The Incas achieved incredible advances in agriculture, the basis of their economy.